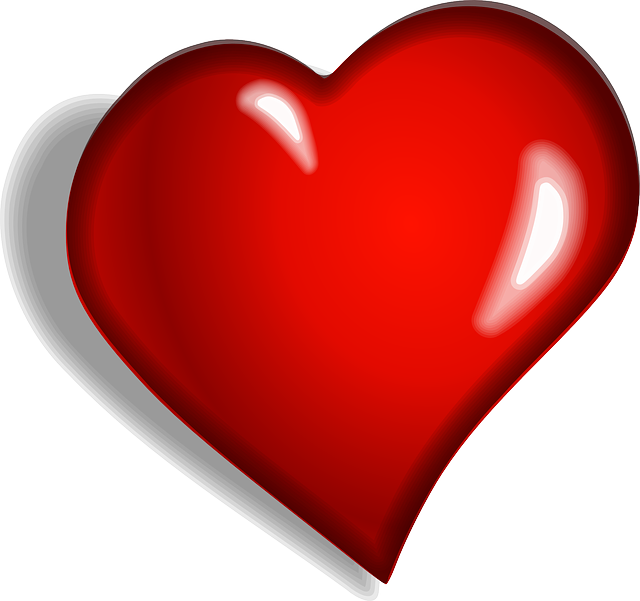 My question today, is what is the difference between putting boundaries into place, and practicing loving kindness? I don’t know about you, but I get confused by this. School of Thought 1: when people are too negative or too hard … reduce their presence in your life. Sometimes altogether. School of Thought 2 : Always practice loving kindness to everyone. I’ve decided that the easiest way to handle this is simple. 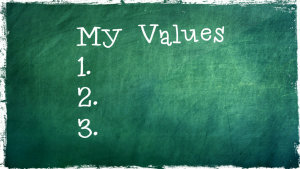 WORK OUT YOUR VALUES. This is a big fat exercise of SELF LOVE too, by the way. Once you know exactly what you value, you’ll have far more respect for yourself and know who or what belongs in your life while you’re residing here on the planet. 2 Minute, OK 5 Minute Exercise, but it will be worth it. Make a short list. Right now. Grab a pen and paper. Or open a doc on your computer and type away. Decide on the values in your life. Your values are simple WHAT YOU VALUE so you can lead a trulymadlydeeply happy life. That’s it. I want to be a loving person full of energy and fun, and share that with not only the closest people that I love, but with others in the world who may benefit from it. I want to have creating fulfilling work, using what gifts I have been given, so I’m excited about getting out of bed each day. I want to feel safe, happy & healthy, have food on my table, a roof over my head. I want to frequently connect with ‘my people’. i.e. people who are loving, kind, ‘excited about life’ people. Not perfect people, but those who I can be myself with and don’t drain the sh… out of me. I want my relationships to be real, and honest, and allow me to be imperfect as well. And I want reciprocal relationships, where energy flows both ways. So how do we use this Value List to ascertain whether to cull someone from our life, keep ‘em:) or limit our time with them? Easy peasy. From now on your Value List is your ‘bible’. Simply refer back to it when you’re in a challenging situation, and ask yourself if this person, and their behaviour, ‘fits’ into the vision for your life. The answer will become crystal clear. You don’t always have to make an ‘announcement’ when you decide that something needs to change in order for you to stick to your VALUES. You just shift directions in your mind first and the rest will follow. If you need to speak it, do so with love. It’s about self love and respect, which makes for a happier healthy you, and therefore makes the world a better place:) So in short, you’re setting boundaries, and practicing loving kindness to yourself first. A notion totally foreign to a lot of women, and it’s time for change. I read this article and found it very interesting, thought it might be something for you. 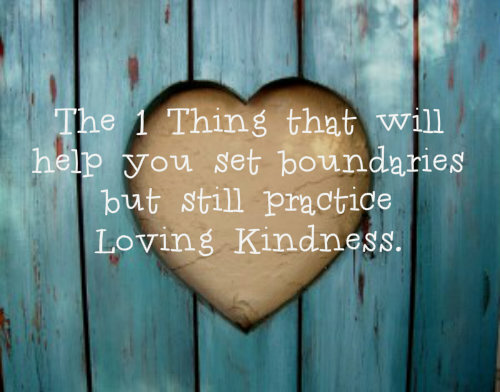 The article is called 1 Thing That Will Make it Easy to Set Boundaries and Still Practice Loving Kindness! 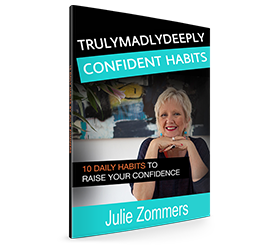 and is located at https://trulymadlydeeplyhappy.com/1-thing-that-will-make-it-easy-to-set-boundaries-and-still-practice-kindness/.